I’ve been using the CRM Solution Manager for a few months now and I thought I’d provide some insights on the product in case you are considering making the investment. What is it the CRM Solution Manager? The product comes as a Visual Studio Extension file (.vsix) and currently supports Visual Studio 2010, 2012, 2013 and 2015, that means it very likely supports the version you are currently using (I really hope so!). There is a free 30 day trial available to try. When the connection is completed, you can create your projects (Class Libraries for plugins and custom workflow activities, and Empty Web project for web resources). Once your projects are created, the fun can start. For server side development, the tool brings a lot to the table. If you have a class library project not linked to CRM or not containing anything at related to CRM, right clicking on the project will give you the possibility to either add the Plugin Assembly to CRM or create Proxy Classes. Edit Plugin Assembly Details: Allows changes to Plugins Assembly details such as Location, Isolation Mode. Also gives the ability to configure ILMerge for merging multiple assembles at build time. 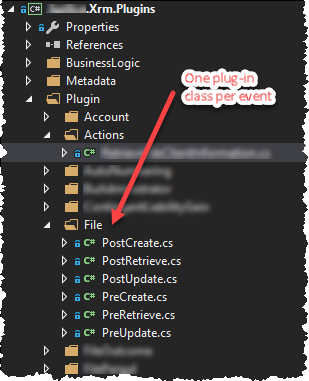 This is helpful if you are used to creating ILMerge post-build event all the time. Download all linked Items from CRM: This option will force a download of all the items that are linked to CRM. In this case, we are talking about the Proxy Classes that were generated using the feature described above. Worth nothing, all the configuration (linked items to CRM, CRM connection etc.) is saved in an Xml file that resides in your solution root folder. If you need and want to carry your CRM Solution Manager configuration across multiple environments and for multiple developers, make sure you include it in your source control (it is not done automatically). The experience is very similar with to what we get on the server side. Right clicking on the right button will give you a CRM option with a few options. If you are using CRM Solution Manager for specific things (e.g. creating Proxy classes and Option Set Enumerators), it means one of two things. Either all of your developers need to be equipped with the add-on in case the classes need to be regenerated or the entire team dependent on one person to regenerate the entities classes when required. If you are the only developer on the project, it will work well for you. 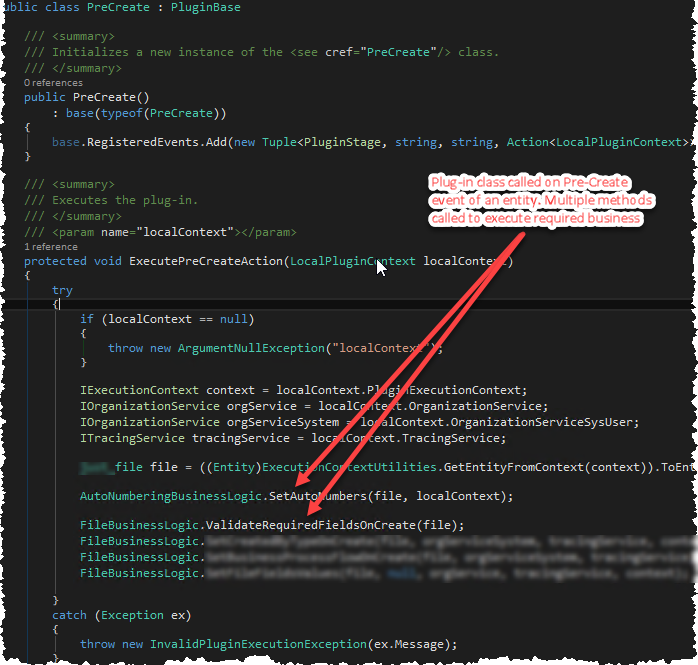 However if you are a consultant and need to hand-off the code when you are done, you may not want to us it to generate the proxy classes as people who will maintain the code might not have it to generate identical classes in the future. The price point is a bit high. At $209.95 US per license (with volume pricing available), it is almost as expensive as some of the excellent and proven productivity tools such as Resharper ($300), Coderush ($250). That makes your development environment a bit expensive to set up. Pricey also considering there are free tools like the CRM Developer Toolkit (for which we are still waiting for a new version for VS2015, CRM 2015/2016), some of the tools in the XRM Toolbox and also the CRM Developer Extension developed by fellow CRM MVP Jason Latimer. The latter is a must try, the feature set is impressive and extremely complete! I haven’t had a chance to work with it yet but I will make sure to review it once I do. All in all, I would recommend the CRM Solution Manager if you are an Organization with Dynamics CRM deployed internally with multiple developers writing code that targets the platform. If you are a solution integrator or a consulting shop, make sure you don’t create too much of a dependency with the tool, because your clients won’t necessarily have access to the add-on. For further questions and assistance with your CRM Development tools and environment, or other Dynamics CRM related inquiry, feel free to reach out to us! Every time I meet people trying to get CRM projects going, I get plenty of questions about how to setup environments and source control properly. Unfortunately, there is no easy answer. However I thought I would share a model that I’ve used on many occasions and that works well with a combination of a defined methodology, appropriate tools, training, commitment and discipline from the project team members. It is mostly relevant for large projects with multiple developers. The proposed setup is based on the flowchart below, and it is inspired by fellow MVP Gonzalo Ruiz’s article on the same topic. The development machines can be a developer’s laptop or work station with CRM development tools + a dedicated CRM organization for the developer (CRM Online or on premise). It can also be a full server (or VM) with CRM installed and dedicated to a single developer. These organizations are setup with a master configuration solution (more on this later) and smaller transport solutions to bring required components for development. Developers use the various development tools to write code and to debug (attach to CRM services, attach to IIS, using Profiler, browsers debugging tools or using tracing). When development items are completed, developers build temporary “transport solutions” containing the components they worked on and they push them to the Master Configuration organization. Developers must be careful and not make schema changes on their own development organizations. As the code is deployed to the master configuration, it should also be archived in the source control. There is only one Master Configuration environment. It contains the schema configuration and all schema changes should be made there. There is usually one or multiple “Master” solutions sitting in this organization based on how you decide to structure your deployments. You may want to have multiple solutions for various types of customizations (e.g. one for schema, one for plugins, one for web resources etc. ), or based on functionality grouping. When developers set up their organizations, they can pull the entire master solutions from the master configuration organization as unmanaged and install them in their development. They can also create temporary “transport solutions” to pull only the customizations they need. A process (manual or automated) should be put in place to archive the master solutions on a regular basis (daily is recommended). Archiving could be saving the CRM solution files in source control, or even creating snapshots of the server and keep them around for a reasonable period of time. This organization receives the master solutions and is used to perform tests. It can be combined with the master configuration environment. The choice to go with a managed or unmanaged solution when going from master configuration to integration/UAT/Prod environment is a business and technical decision. It is a separate discussion that we could write an entire blog post about J. These environments receive the master solution(s) after they have been tested and validated on the Integration/Test CRM organization. Putting this type of environment in place is not easy to do. It takes a lot of process implementation, tools and automation build and more important, training and discipline from the project team members. When working on small project (small number of developer, low amount of customizations and code), going with this approach is overkill. It applies best for big projects when you have multiple developers and heavy customization requirements. This was fun. Hope it helps! getSaveMode: Returns a value indicating how the save event was initiated by the user. 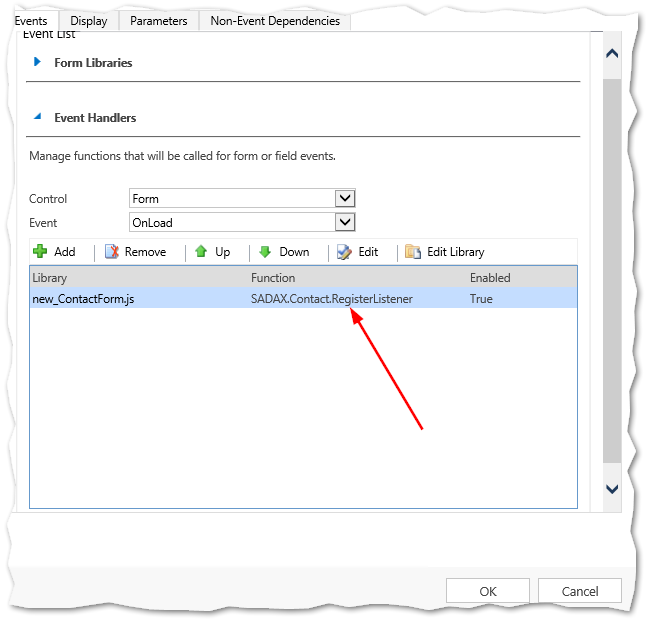 isDefaultPrevented: Returns a value indicating whether the save event has been canceled because the preventDefault method was used in this event hander or a previous event handler. preventDefault: Cancels the save operation, but all remaining handlers for the event will still be executed. With the old save method, you had to require that the user saves the account so that the value of Primary Contact is saved to the database, then click your button that will call the web service with account ID. Such a requirement certainly causes pain in user experience especially if there are a lot of situations where they need to hit save, wait for refresh and click another button. // save => A Boolean value to indicate if data should be saved after it is refreshed. It’s a very nice performance optimization in certain scenarios!